Maq Elè is a spiritual life coach whose innovative and unconventional methods create life-altering and life-enhancing experiences for her clients. Maq's vision is to co-create a world where we discover, embrace and live as our authentic selves in surrender to the guidance of love, power and creativity that exists within. Maq discovered her passion for speaking and group facilitation while presenting various seminars to her class and sorority during her senior year in college. On this discovery, she reflects: “I asked myself, what do I need to be doing so that I can feel this way every day? I felt a level of presence and connection that I had never felt before. From there, I knew I tapped into my purpose!” With a bachelor’s of science degree in chemistry, Maq chose to follow the leading of her purpose. Her path led to Inner Visions Institute for Spiritual Development– where she studied universal and spiritual laws, and spiritual principles. In 2011, after four years of intensive experiential training and demonstrated proficiency in personal application, Maq received her spiritual life coaching certification. Maq’s leadership and coaching skills continued to be strengthened and cultivated while serving as Area Coordinator with the Department of Housing and Residence Life at Winston Salem State University. Through service, her unique specialty of providing professional development, leadership training, team building and conflict resolution were aligned. Maq has facilitated workshops for many organizations, including: Girl Scouts of America, Delta Sigma Theta Sorority, Inc., Bennett College for Women, the University of North Carolina at Greensboro and The VA of Maryland. Founder of her own spiritual life coaching practice, “Maq Elè, LLC,” Maq offers inspirational speaking, group facilitation, team building, conflict resolution, individual and group coaching to support clients in their desire to live life as their authentic selves. Maq also works as an Adjunct Professor at the Community College of Baltimore County, in Baltimore Maryland. Maq is currently on track to complete her master’s degree in Art Therapy and Counseling. Through the use of art, Maq desires to support clients with tapping into their creativity to unleash their authentic power. 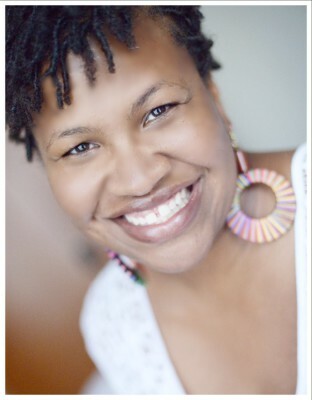 Maq currently resides in Baltimore Maryland and travels worldwide to share her work and passion.